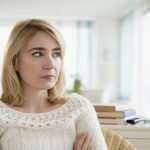 There are often gut vibes, those striking an emotional chord with our mind about partner’s possible infidelity in our marriage. As per a recent report, the figure of infidelity, in the last couple of years, is on the surge. Thanks to the dawn of social media networks such as the Facebook. How to Get Started with a Tracking Software? Getting started with a cheating spouse cell phone spy app is a breezy venture. If your wife wields an Android phone, then, firstly subscribe an Android spying package of your prospective spy company. 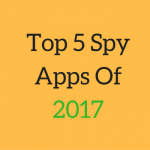 Once, you have decided on the above, get hold of your wife’s cell phone for a few minutes, and quickly install the spy app on the phone. On the hand, if your soul mate has an iPhone, purchase a subscription pack that caters your spying needs and budget. Here, you don’t have to set-up the software on the phone to be tracked, instead, you have to provide the Apple ID credentials of that phone to commence with spying. However, if you still any doubt or something which is worrying you, it is best to have a conversation with a customer support representative of the company you opted. They will help you technically and address even the minutest doubt of yours. The GPS location tracking attribute of an app offer you the facility to spy cell phone of cheating spouse, ensure that you have the latest updates on your wife’s daily movements. The app offers you an opportunity to peep into the social media of your wife, with whom she is having Whatsapp and Facebook chats. And, the names and contact details of the same. With this, you will come what she frequently surfs the internet using her cell phone. A mobile spy app provides you with the email logs of your wife’s account. Yes, if are availing the spying services of a trustworthy company. They make regular backend coding amendments to ensure the safety and secretary of the data gleaned from a target phone. Satisfied customer reviews, is the final verdict, and on that front, there is no match to a global leader in the spying industry, Spymaster Pro. This spy will never let you down in terms of its array of features, anytime technical assistance, and pricing.